Eagle Construction & Contracting Corp. Pro Heating and Cooling, Inc. Comment: Need a second opinion about carbon monoxide. Comment: I need to replace my furnace. It is 18 years old no longer producing heat. I already had it inspected. Comment: We may be having a problem with the thermostat because the furnace will start and then stop immediately. We can't seem to change the thermostat properly. 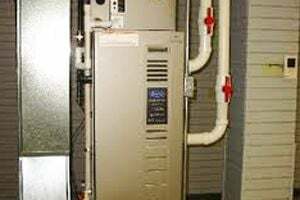 Comment: Looking to replace natural gas heat pump/ ducted heat and air conditioning system with more efficient modern system. Portland Heating & Furnace Contractors are rated 4.79 out of 5 based on 2,125 reviews of 42 pros. Not Looking for Heating & Furnace Systems Contractors in Portland, OR?